The riots that broke out in various British port cities in 1919 were a dramatic manifestation of a wave of global unrest that affected Britain, parts of its empire, continental Europe and North America during and in the wake of the First World War. During the riots, crowds of white working-class people targeted black workers, their families and black-owned businesses and property. One of the chief sources of violent confrontation in the run-down port areas was the ‘colour’ bar implemented by the sailors’ trades unions campaigning to keep black, Arab and Asian sailors off British ships in a time of increasing job competition. 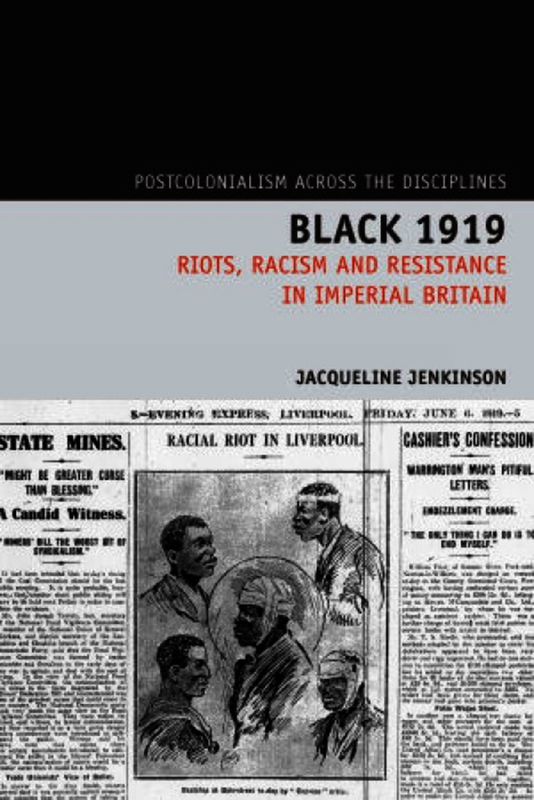 Black 1919 sets out the economic and social causes of the riots and their impact on Britain’s relationship with its empire and its colonial subjects. The riots are also considered within the wider context of rioting elsewhere on the fringes of the Atlantic world as black people came in increased numbers into urban and metropolitan settings where they competed with working-class white people for jobs and housing during and after the First World War. The book details the events of the port riots in Britain, with chapters devoted to assessing the motivations and make-up of the rioting crowds, examining police procedures during the riots, considering the court cases that followed, and looking at the longer-term consequences for the black British workers and their families. Black 1919 is a stark and timely reminder of the violent racist conflict that emerged after the First World War and the shockwaves that reverberated around the Empire. Jacqueline Jenkinson is Lecturer in History at University of Stirling since 1992. She is author of Scotland’s Health 1919-1948 (Monograph no. 2 in the ‘History of Medicine’ series, Peter Lang, Bern, 2002) and Scottish Medical Societies 1731-1939: their history and records (Edinburgh University Press.